You expect to be safe while at work. Whether you work at a construction site, a school, or even an office, you have the right to work in a safe environment. Sometimes, however, accidents happen. If you were injured while on the clock, you may be eligible to recover damages for your injuries, including the cost of medical bills and lost future earnings, by law, most employers are required to carry workers’ compensation insurance to cover these costs. If you sustained injuries on the job in Titusville, we can help. Our legal team can help you hold the insurance company or your employer responsible for your damages. Contact a workers’ compensation lawyer in Titusville, FL today to discuss your case. Call the Law Offices of Anidjar & Levine at 1-800-747-3733 for more information. Many injury victims assume their employer pays out of pocket for workers’ compensation damages. This is not the case for most employers. In most situations, if you are injured while at work, you are eligible for workers’ compensation benefits which are provided by workers’ comp insurance. Florida law outlines who must carry coverage and eligibility requirements. By Florida law, most employers who employ four or more people are required to carry workers’ compensation insurance. However, there are several other types of employers who must carry coverage, regardless of how many employees they have. If you were injured at work, you have the right to recover compensation for your injuries. A workers’ compensation lawyer in Titusville, FL can help you file a claim, appeal a denial, or pursue compensation from a third party. Contact our team today at 1-800-747-3733 for a free case evaluation. Workers’ compensation benefits will vary based on the details of your case. For example, if you are permanently injured, your benefits will be higher than if you cut your finger. Other case details that may affect your benefits include your salary, how long you are out of work, and if you can return to the same job after you heal. If your loved one passed in a work-related accident, you may also be eligible to recover death benefits through workers’ compensation insurance. For more information about the workers’ compensation benefits available to you, contact a workers’ compensation lawyer in Titusville, FL today. Call the Law Offices of Anidjar & Levine at 1-800-747-3733 to discuss your case. You are not required to seek legal counsel to file a workers’ compensation claim. 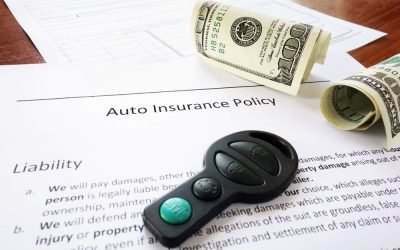 However, there are many benefits to hiring an attorney to assist you with your claim. Here is how our legal team can help. The first step in working with our team is to sit down and discuss the details of your case. During a free consult, we can advise you of your legal rights and explain how we can help you recover the benefits you deserve. Workers’ compensation claims are not always straight forward. For example, if your injuries are the result of repetitive actions, we need to prove that is the case. Or, if you had a previous injury that was exacerbated by a work injury, we need to show how you are eligible for workers’ compensation. Our team will gather evidence, including accident reports, medical bills, and other documentation, to prove your eligibility. You should be focused on getting better, not dealing with paperwork. After we gather evidence, a workers’ compensation lawyer in Titusville can file your workers’ compensation claim for you and will provide as much documentation as possible to prove your eligibility. In addition, a lawyer will provide any additional paperwork as requested. Sometimes we can recover benefits quickly. Other times, claims are denied, or insurance refused to cover certain aspects of your claims. In these cases, we will work to appeal their decision and negotiate for the maximum possible benefits. In some situations, other parties may be responsible for your injuries. For example, another contractor on a work site may create an unsafe environment. Our team will pursue all possible at-fault parties to obtain the compensation you deserve for your injuries. If you were injured while at work or sustained injuries over time due to your job, you may be eligible for workers’ compensation benefits. A workers’ compensation lawyer in Titusville, FL can help you understand your options and file a claim for you. Contact the Law Offices of Anidjar & Levine today to discuss your legal options. Call 1-800-747-3733 for a free case evaluation.